We are excited to see what the cold weather brings! As the weather is starting to cool down, ASL Productions is heating up. Here are some of the highlights from September. Hand and Stone lobby at a Philadelphia location, filmed by ASL. We got off to a fast start with a corporate video shoot for Hand and Stone. Our job was to film interviews of franchise owners talking about all of the success the massage and spa retailer has been having. 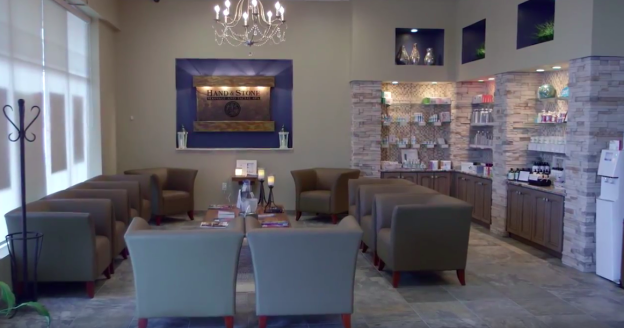 After filming a dozen spa owners, we edited 12 videos for franchise and recruitment use. Next, we turned our attention to Cigna, a global health insurance provider. We captured the story of Citizens Bank’s Chief Human Resources Officer, Susan LaMonica, and how Cigna partnered with Citizens Bank to promote a healthy way of living. The day after our Cigna shoot, ASL flew to Houston to shoot a green screen interview for Intellisphere’s OncLive Peer Exchange. We used our nationwide talent pool to source our crew and had a successful two day shoot. Shortly after getting back from Houston, we had another cross country flight to film an interview for Intellisphere. This time to Seattle. We, again, used our national network to source our crew. It pays to have friends all over the country. ASL had the opportunity to cover the launch of Turnaround Arts, a public-private program to help turn around America’s struggling school arts programs. 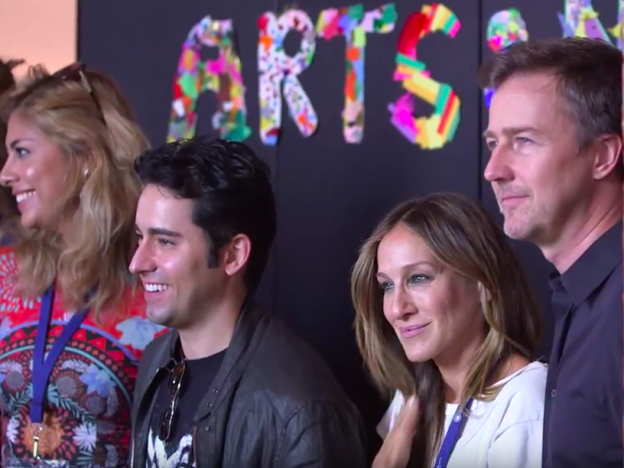 A-listers Edward Norton and Sarah Jessica Parker were just a few of the celebrities who came out to lend a hand to this worth while non-profit organization. American Sports Network also kept us very busy producing four pieces. We filmed two stories at Villanova University centered around the football team. One was about the connection between the head coach, Andy Talley, and raising awareness for bone marrow donation. 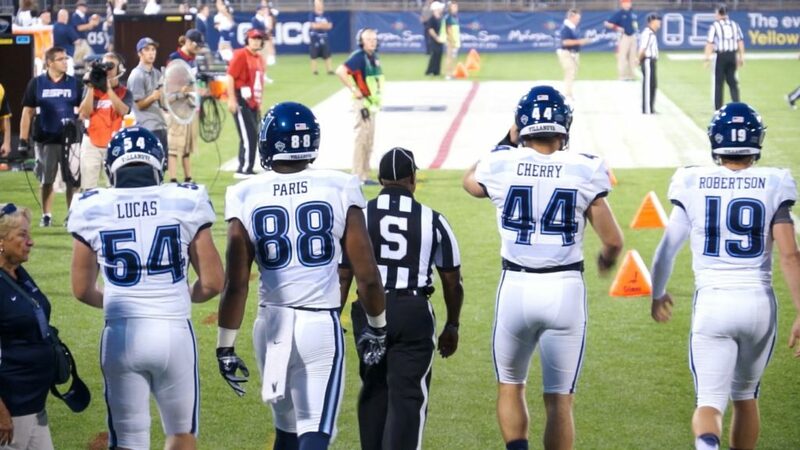 The second Villanova piece focused on All-American linebacker Don Cherry. He has aspirations of being a star in the NFL and the entrepreneurial world. Check out the finished piece by clicking here. ASL also filmed and edited a heart warming story about Derby, the Trenton Thunder bat dog. The promotion started almost 15 years ago, and it’s gained so much popularity, the Thunder are training their third dog, Rookie, for the next generation. Our ASN projects also included covering the Hockey East Conference Media Day in Boston where we interviewed legendary Boston College coach, Jerry York. And if you think we had a lot going on in September just wait until we tell you about some of our corporate video projects from October. Don’t forget to like us on Facebook and follow us on Twitterpage.